Be clever and choose this stylish Indian Bohemia Cream Colored Designer Cotton Tunic with Unique Prints for your fashion wardrobe. 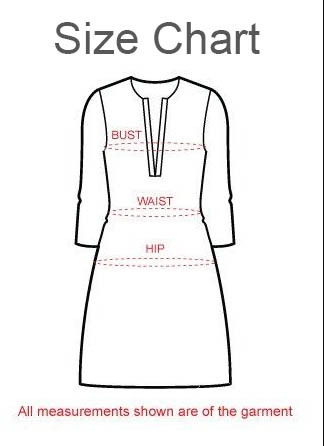 This piece from Snehal Creation has a ban collared tunic and has three quarter sleeves. The central panel of the tunic is a pink and brown fabric with horizontal lines. Buttons with wood like look adorn the ban collar on the tunic. The base of the tunic has rounded edges and is a perfect choice for everyday wear.